On December 17, 1903, the Wright brothers flew the first airplane ever at 6.8 mph (10.9 km/h). 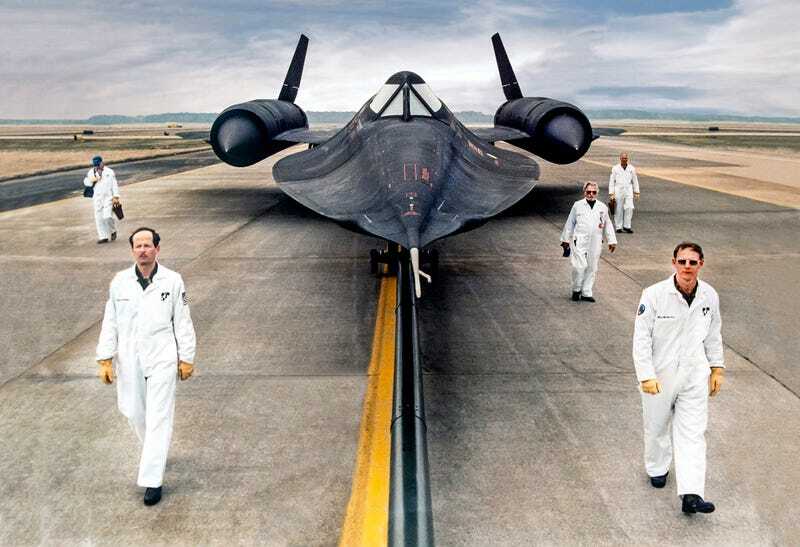 Only 61 years and five days later, the Lockheed SR-71 Blackbird took off. It's still the world's fastest airplane with a speed of 2,193 mph (3,530 km/h.) This fascinating video explains its top secret engine technology. A ground test of the Pratt & Whitney J58 engine's afterburner at full power. And it's even more unbelievable that we haven't been able to top that 51 years later (it will be exactly 51 years tomorrow—the first flight occurred on December 22, 1963.) Absolutely incredible.